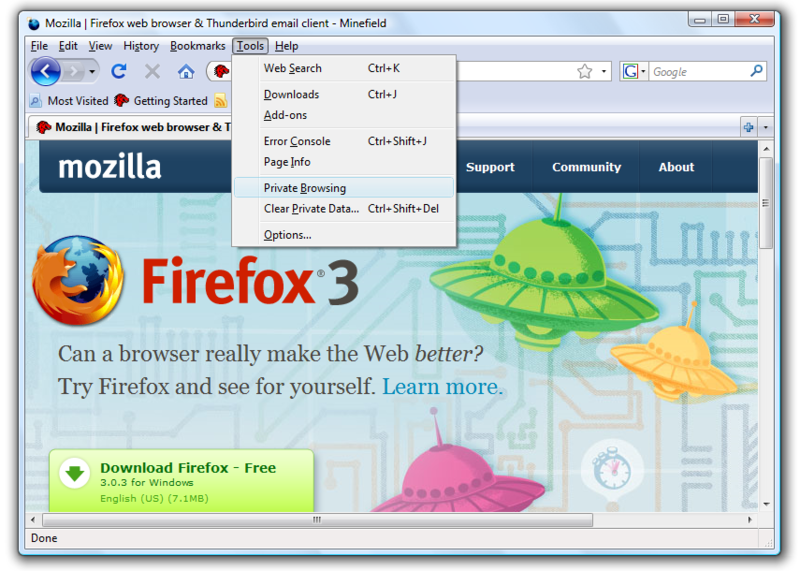 The pre-release versions of Firefox 3.1 bring a new feature in this browser, the Private Browsing. 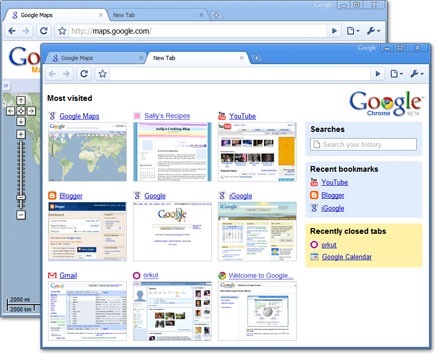 This feature was introduced also in Chrome, the Google browser. The web browser usually records a lot of data while you surf webpages. For example, it records a history of all the web pages you have visited, so that later if you need help remembering a site you visited a while back, it can assist you in finding that site. 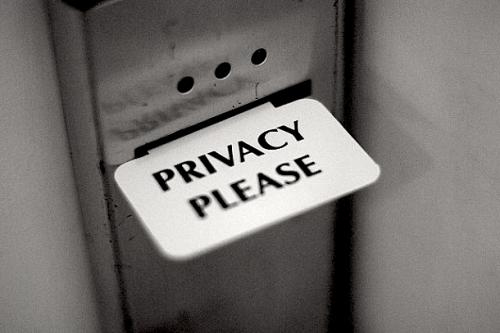 Switching to Private Browsing no data will be stored on your computer and nobody can trace your online activities. 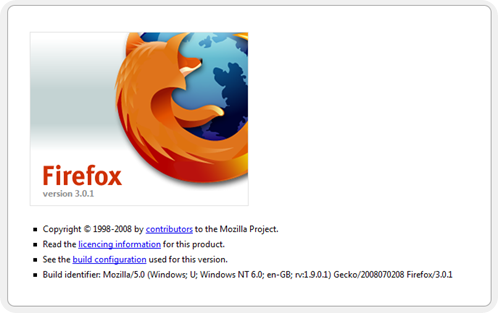 This screen shot is taken from Firefox just type about: and below I want to show you a list with all Firefox about info, and some Easter eggs. Displays BloatView output (disabled in release builds). Shows the malware protection page used when the browser identify some page as not safe for viewing. 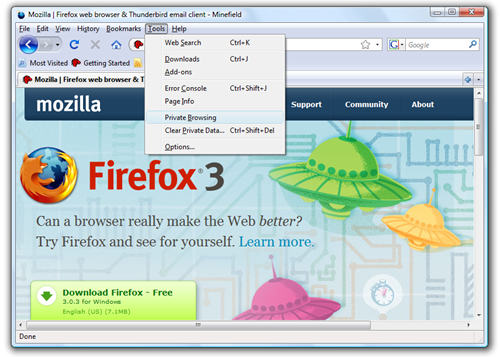 (Firefox 3-specific). Typing addresses for sites you visit frequently is ineffective. Get your favorite Web page with just one click. Speed Dial is a set of visual bookmarks you see when you open a new tab, like a dashboard for your online life. 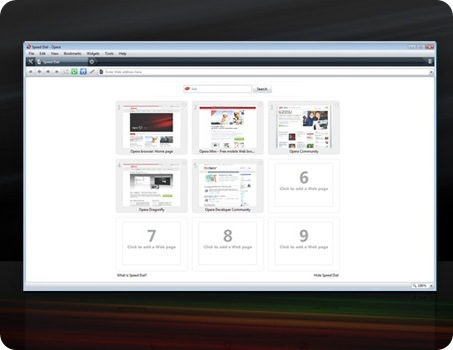 To add a new page, simply click on an empty Speed Dial and Opera will make suggestions based on browsing history and bookmarks. 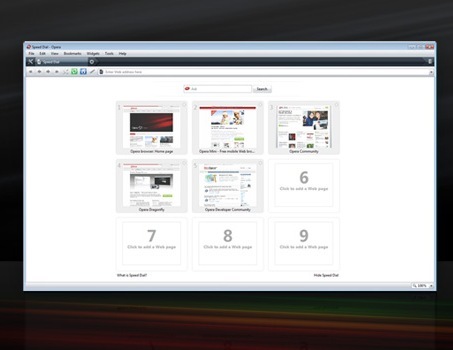 By default Opera has just 9 Speed Dial. How to add others..?! Type about:opera in address bar to find the Opera profile folder location (see image below, click to enlarge). 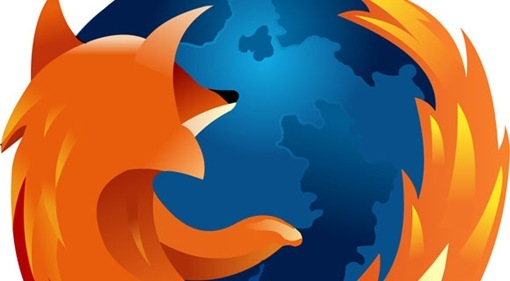 Download Firefox 3 RC1 now available, in more than 45 languages. There is a new version for Safari, the browser for Mac and Windows. 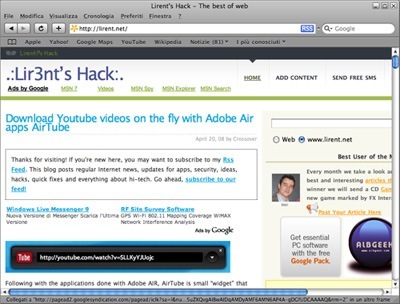 Thanks to a simple and elegant interface, Safari remains discreetly and allowing you to enjoy the Web on the right way. Up to 1,9 times faster than Internet Explorer.